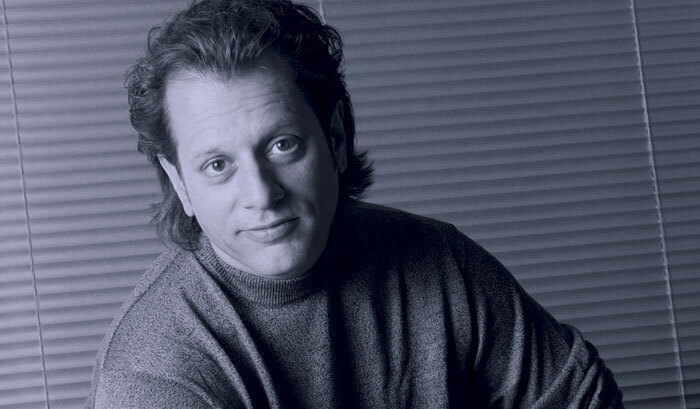 For more than 20 years Dave Weckl's masterful drumming has captivated musicians and fans alike. His immaculate tone and flawless groove have earned Weckl performing and recording credits with such pop artists as Simon & Garfunkel, George Benson, Diana Ross, Peabo Bryson, and Robert Plant. Meanwhile, his astonishing jazz-fusion work with Chick Corea's Akoustic and elektric bands and his own Dave Weckl band have consistently stretched the boundaries of drum virtuosity. A committed music educator and clinician, Dave has also created many instructional products. I've always been attracted to players with great technique, because it feels better when someone is in command of what they do. You can read about all Dave's projects - including the Dave Weckl band's latest Stretch/Concord release, Live (And Very Plugged In) - at www.DaveWeckl.com. we caught up with Dave in the midst of a recent European tour. You're known for your phenomenal technique. Do you need good technique to be a good musician? Everyone has their own way of doing things. But I've always been attracted to players with great technique, because to me it feels better when someone is in command of what they do. I've never been interested in technique for the sake of technique. It's just that the more control I have over my body in relation to the instrument, the better the music feels going down and listening back. Do musicians ever get discriminated against for being too technically skilled? [Laughs.] Well, I'm probably near the top of that list! You're experienced as both a band member and a bandleader. Do the roles demand different frames of mind? Definitely! when you're the leader, everything is your responsibility, so it's always a relatively stressful situation. You have to make sure that all is cool before, during, and after the tour. Also, the financial aspects can be unpredictable. But when you're in the sideman role, everything is easier. The money is usually more consistent, and there are no major responsibilities other than your own. On the other hand, you're working for someone else, playing the music they want to play, and presenting it the way they want it presented. That's the joy of leadership: being able to do everything exactly how you envision it. Do you vary your tuning and setup from session to session, or have you dialed in an approach that works all the time? Every situation is different, but my setup remains very consistent, down to the microphones. Live, I use the Yamaha 01V as a monitor mixer for my in-ear system; and when I gig with my band, it also serves as the front-of-house mixer for the drums. As far as tuning, I do have a "dialed in" approach for my band and that type of music in general. But my tunings do vary depending on the music and the vibe I want to create - and Yamaha drums are so consistent that I've always found it easy to retune them. Why did you start using Yamaha drums? Because most of my favorite players back in the early '80s were using them, so that's what I wanted to use, too. I've used Yamahas since 1983. I like maple shells for their warmth and low-end power, though I do play birch and oak as well - and they all sound great. What about the Dave Weckl signature snare drums? They all have a double-strainer design. The original one was a 13"x5" maple, which is also available with a 14"x 5" maple shell and 14"x 51/2" aluminum shell. We've recently redesigned the maple drums to be 51/2" deep, with the new Yamaha lugs and solid black shells. The aluminum drum is going through changes, too - we may have a brand-new drum when it's all said and done! Working with the Yamaha guys is always a nice experience. They are very determined and helpful in getting what I want. Why have you remained so committed to teaching? I enjoy giving back that way. I enjoy seeing someone get to a new level in their own playing through some experience I've had or something I've been taught by others. Do you tend to see similar strengths and weaknesses among your students? The most common issue is the lack of foundational development. Too often they haven't paid enough attention to the ergonomics of the drum set in relation to the natural movements and positions of the body's limbs. Another issue is that some players are very limited in their listening. They haven't been exposed to enough different drummers, cultures, and styles of music. So I usually advise them to listen a lot - and to everything. Are there any areas where you feel you're still learning yourself? All of them - musical and non-musical!